At the time of writing I am in the Hong Kong airport, on my way from New Zealand to the Netherlands. We wrapped up a great week in New Zealand this morning. For our next segment we will be joining up with all of the 2012 Nuffield Scholars from around the world for the Contemporary Scholars Conference – 51 in total, including 3 of us Canadians. My time in New Zealand was a real learning experience. We had 5 full days in the Canterbury region and it really whetted my appetite to come back again to see more of this great country. 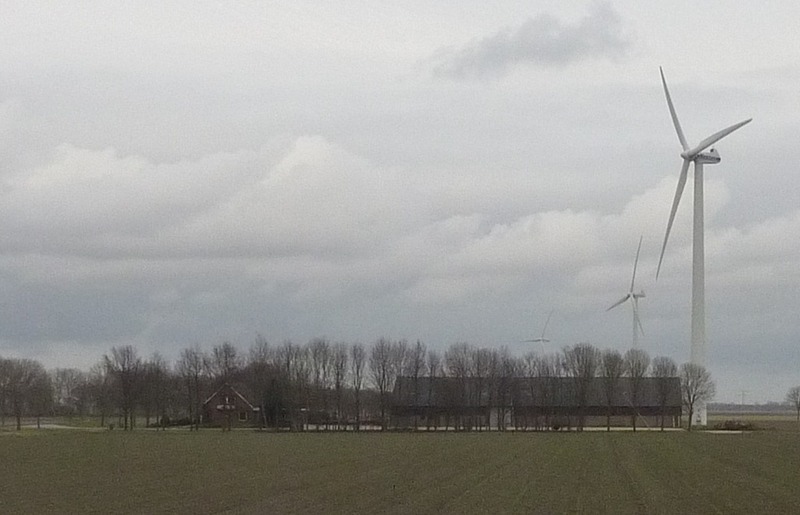 The people are friendly, the landscape is breathtaking, and agriculture is their biggest industry. What more could one ask for! I am fascinated by the cooperative nature of New Zealand agriculture. Their strongest businesses are co-ops. Approximately 70% of farm inputs (fertilizer, seed, chemical) are purchased through coops that are farmer owned. Couple this with 70% of farm products being marketed through co-ops, and you’ve got a striking difference from Ontario / Canadian agriculture. My Australian friends are also fascinated by this set up as co-ops are not dominant in Australia either. It seems New Zealand farmers view each other more as colleagues than competition, and band together to tackle issues. Perhaps this is because they are a relatively small nation, and being an island, are isolated from the larger multi-country continents. It appears that they often lack competition among suppliers and marketers. Adequate competition is essential for market driven pricing of inputs and fair pricing for farm products. Faced with these realities, New Zealand farmers banded together and formed companies that are farmer owned and look after the needs of their nation. These co-ops have been in place for many years and they appear to be a strong as ever. We were fortunate to be able to meet with representatives from Fonterra, a milk co-op that is NZ’s largest company and Ravensdown, a fertilizer co-op with close to $1 billion in annual sales. The co-op model needs another look in Canada. 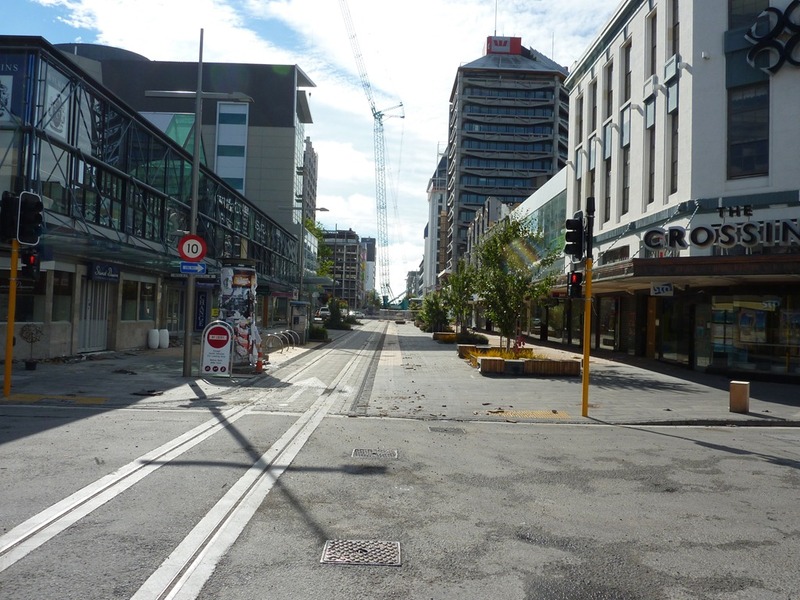 While we were in New Zealand, we observed the one year mark of the February 22, 2011 earthquake that rocked this nation. The quake’s epicentre was close to Christchurch, a city of about 350,000 people and devastated a large area of the city, including the central business district. A year later, the clean up continues and its effects have changed this country forever. In addition to the loss of many lives, thousands of people and businesses have been forced to abandon their premises due to irreparable structural building damage. Discussion is ongoing about how and where to rebuild. 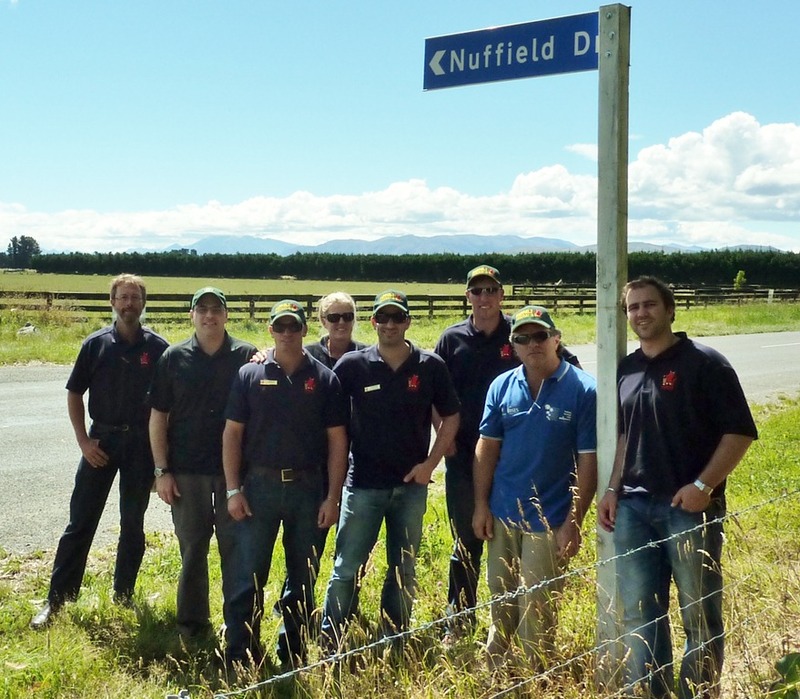 On Thursday, Richard Green, Nuffield New Zealand’s manager, gave us a tour of the city and arranged meetings with several people directly affected by the quake. It was powerful to hear to their stories and see the damage first hand. We learned about personal resilience, and the importance crisis planning. The most uplifting part our day was a meeting with Sam Johnson, a University student that used social media (Facebook and Twitter) to mobilize hundreds of students to help people clean up the mess created by the quake. Sam was recently named Young New Zealander of the Year for his efforts. This 23 year old explained that in the chaos following the quake, students were motivate to help but there was no organized volunteer network. Sam and his friends stepped up and organized teams of students to go out and help shovel dirt and help residents. They figure they put in 80,000 hours of work through the ‘Student Army’. Many farmers drove their tractors to the city and started moving debris, what they called the ‘Farmy Army’. This disaster showed the good that can happen when people go straight to task and don’t get caught up in bureaucracy. When communicating, you need to make your message relevant to your audience. It works best to have a cause that people can identify with, rather than just put out a bunch of information. 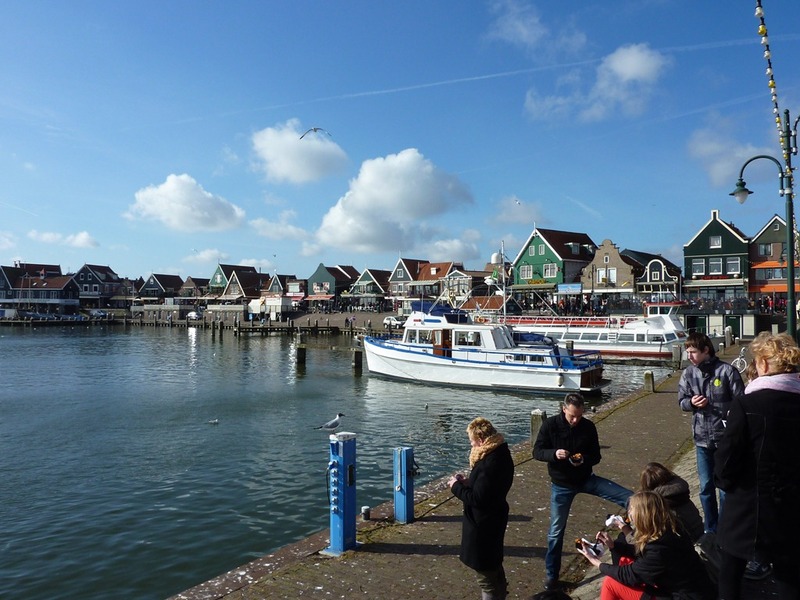 Today, I am going to share some photos from our travels. 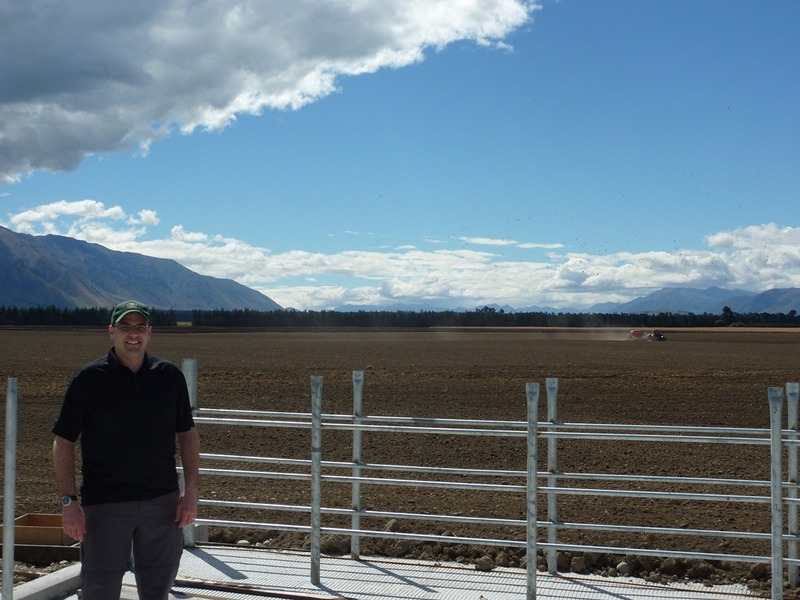 We’ve been meeting with innovative farmers and agribusiness leaders in New Zealand’s south island this week. In addition to dairy and grains farming, we’ve talked with precision agriculture specialists, research managers, and growers of onions, carrots, currants and other vegetable crops. Did you know that 50% of the world’s carrot seed is grown in this part of NZ? 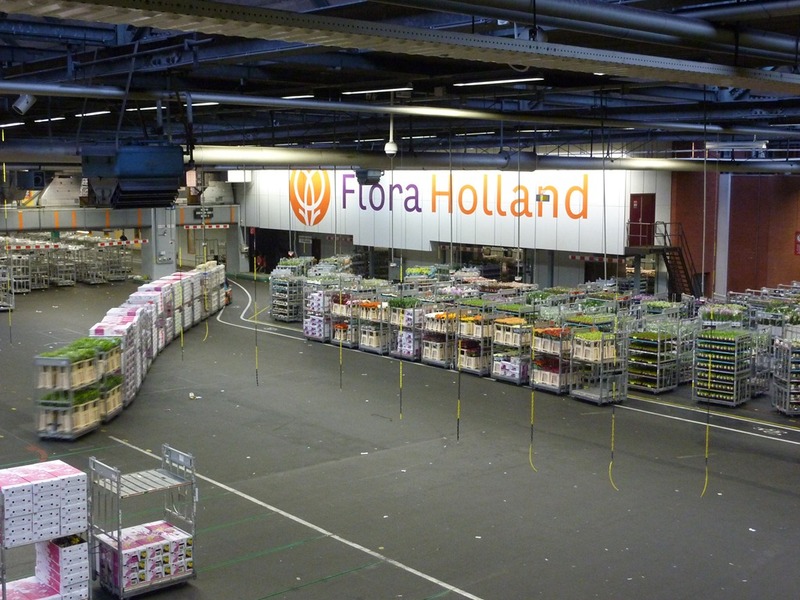 We are getting a complete view of the industry including seed production and further processing, even meeting with the manager of a carrot juice plant. 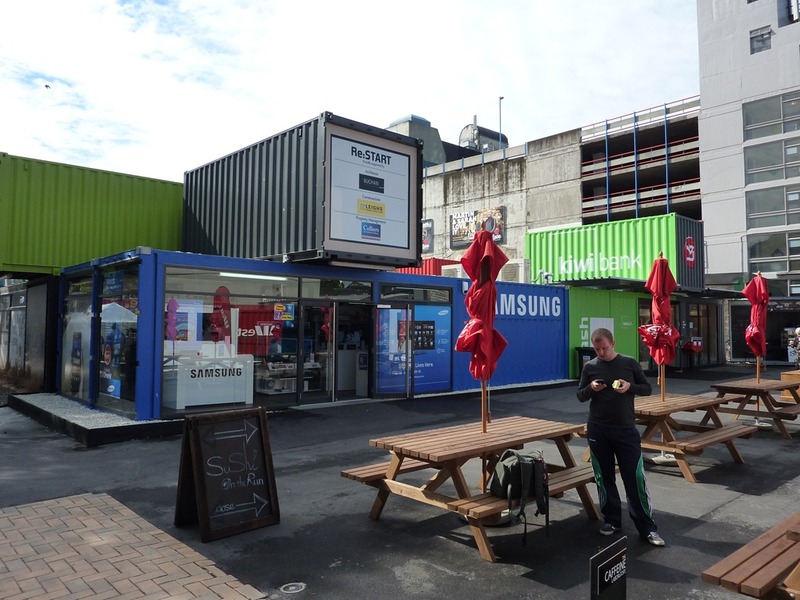 New Zealand – Land of Innovators! 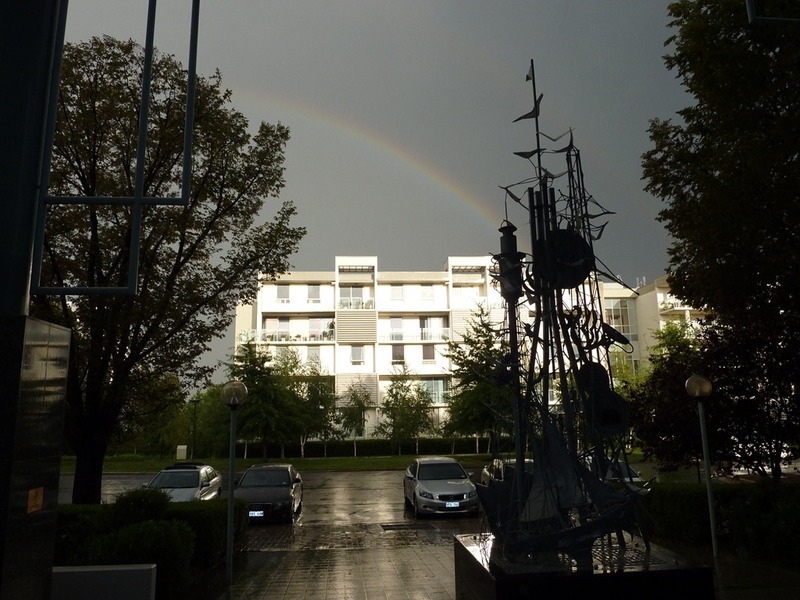 I’ve organized some photos into a web album. The last two days were spent meeting is innovative farmers that are truly thinking beyond the traditional definition of farmer. We had a really interesting meeting with a farmer today that runs a research farm and is building a precision agriculture business. He grows a number of crops, including wheat. This year’s wheat crop is expected to yield 14 T/ha (205 bushels per acre). 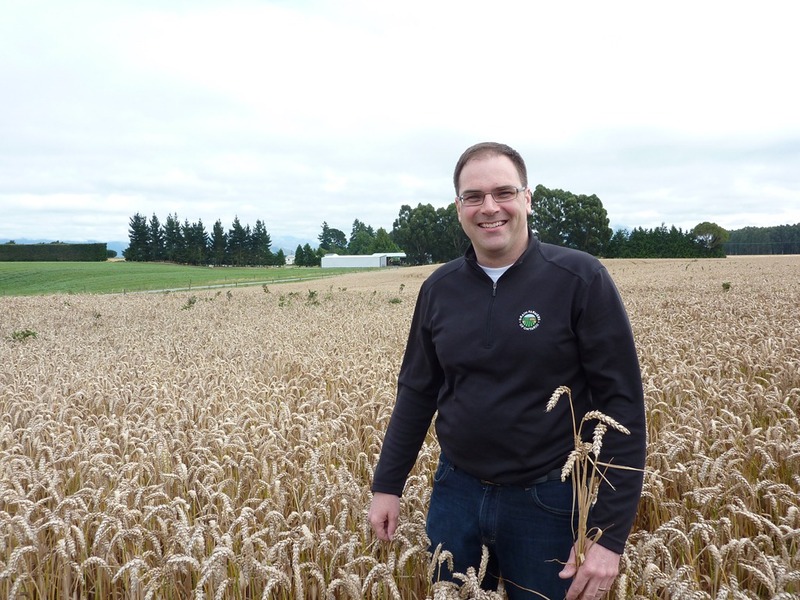 How does 175 bushel per acre wheat at $9.50 /bushel sound? Yes, it true! Here in the Canterbury region of New Zealand, farmers are getting ready to harvest their feed wheat and barley crop, expecting to haul in about 12 tonne/hectare which is about 175 bushels per acre. Prices are good and they expect about $350 per tonne for their feed wheat and barley this year. You might think farmers would be planning to expand acres, but in fact, the opposite is true. 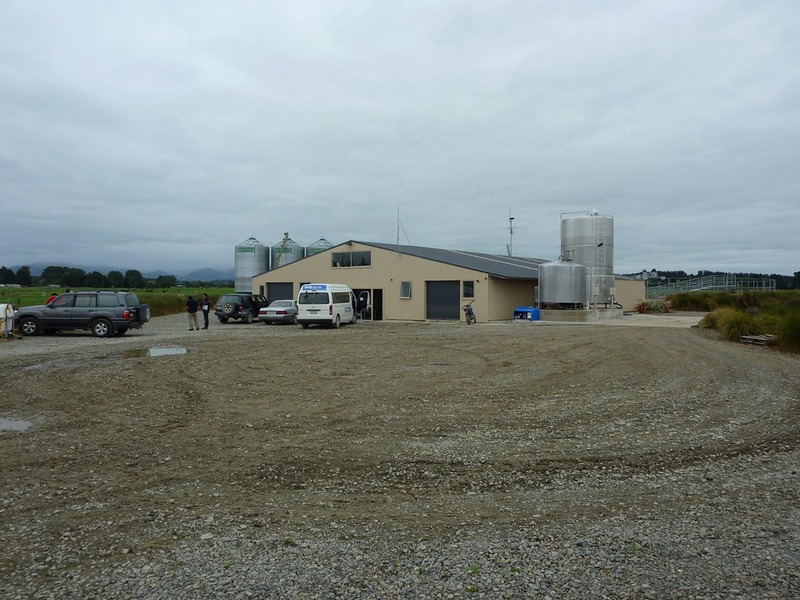 Instead, this area of New Zealand is seeing a massive expansion in dairy farming. All through the area, farmers are converting from crop farming to pasture based dairy farming. Over the past two days, we’ve met several dairy farmers and they are extremely optimistic about the future of New Zealand’s dairy industry. As one farmer put it to me, the Canterbury area is the most efficient place on earth to convert grass into milk. It seems the most common configuration is a 700 cow unit, milked in a 54 or 60 cow rotary parlour twice a day. 85% of NZ dairy production is pasture based. The system is based on intensively managed and rotationally grazed perennial ryegrass pasture, with minimal grain supplement. Cows are typically a ‘Kiwi Cross’ – Holstein – Jersey cross. 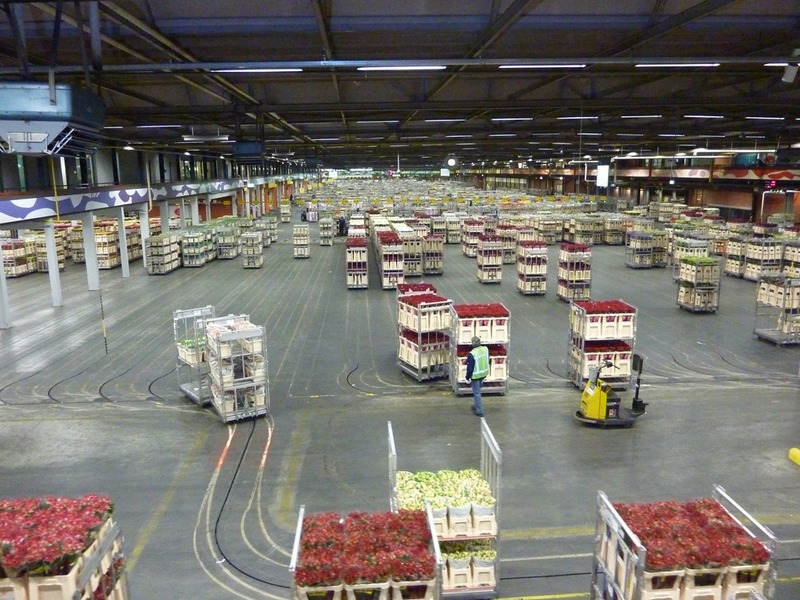 What is the critical factor that makes this system work? WATER!!!! 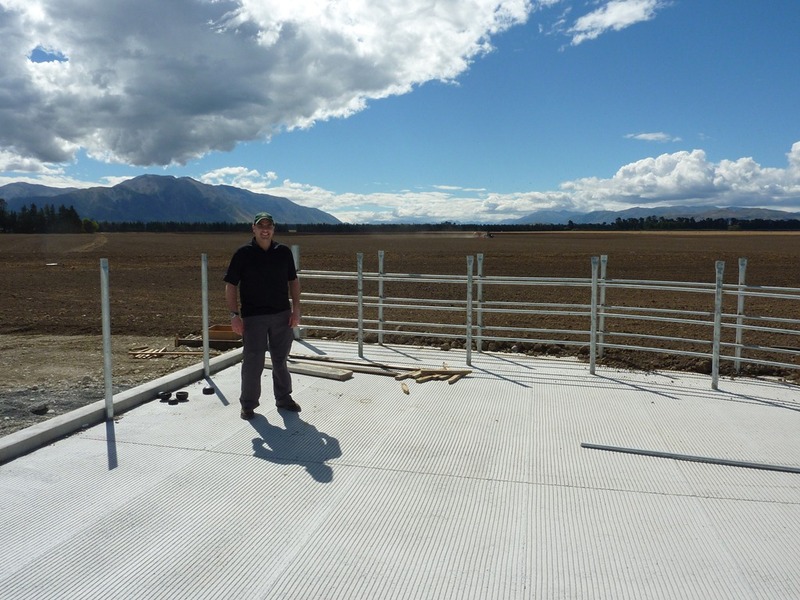 Access to irrigation water is essential to profitable dairying in this part of the world. Centre pivot irrigation is common, and farmers carefully manage their pastures through irrigation. New Zealand has an interesting dairy system. The dominant milk buyer and processor is Fonterra, a farmer coop with about 8000 members. 95% of NZ dairy production is exported and Fonterra is responsible for 90% of that business. Dairy is so significant to NZ, that it accounts for 25% of the country’s total exports! We’ve had an intense 2 days meeting with several farmers in the business. Every one of them has been successful at building and expanding their business and are continuing to grow. Something I’ve learned during these meetings is that success came through taking a business approach, building partnerships with people, hard work and optimism. 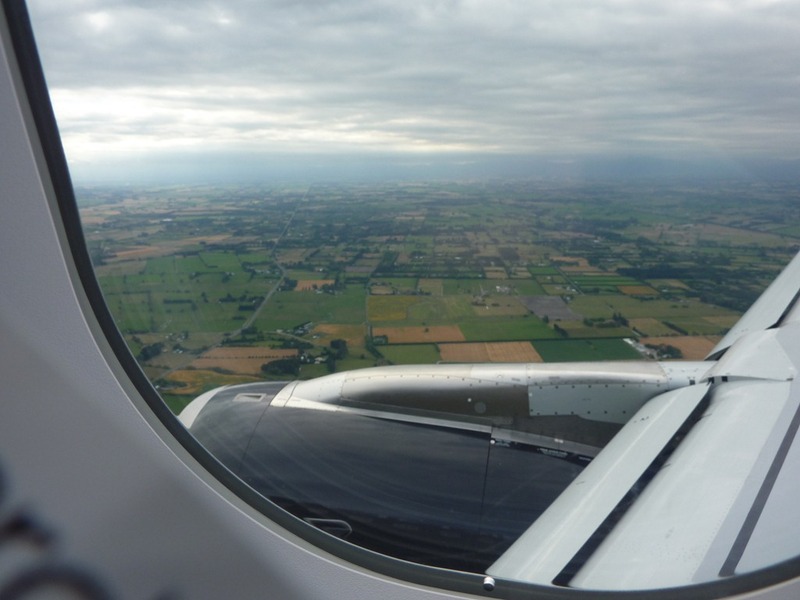 Goodbye Australia, Hello New Zealand! Its been a whirlwind so far. 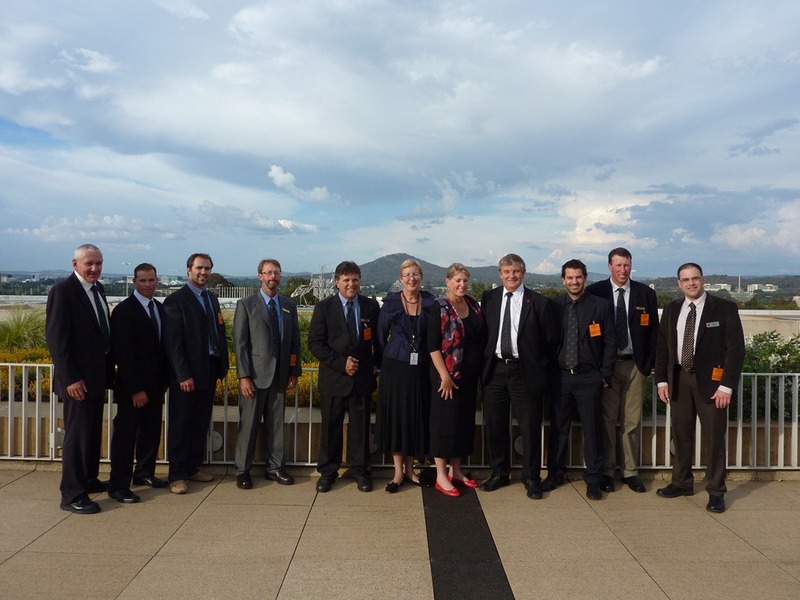 We spent all day Friday at the Grains Research and Development Corporation head office in Canberra, Australia. We learned about the status of the DOHA trade negotiations and the global status of trade policy from Tim Crowe of the Australian Department of Agriculture, Fisheries and Forestry. He described he last 11 years of negotiations like ‘…a kangaroo hopping back and forth in front of a car…you never know what side your on.’ – an authentic Australian analogy! 1) Until research results in farmers actually changing a practise or doing something different, its value is zero. 2) The best way for the government to help farmers implement practices that have an aspect of public good (such as environmental protection) is to find ways to make it improve their business. These statements may seem obvious, but I believe our Canadian system should pay more attention to them when reviewing policy. We need to focus on IMPLEMENTABLE RESULTS and ACHIEVING PUBLIC BENEFITS THROUGH STRONGER FARM BUSINESSES. Saturday was a travel day. 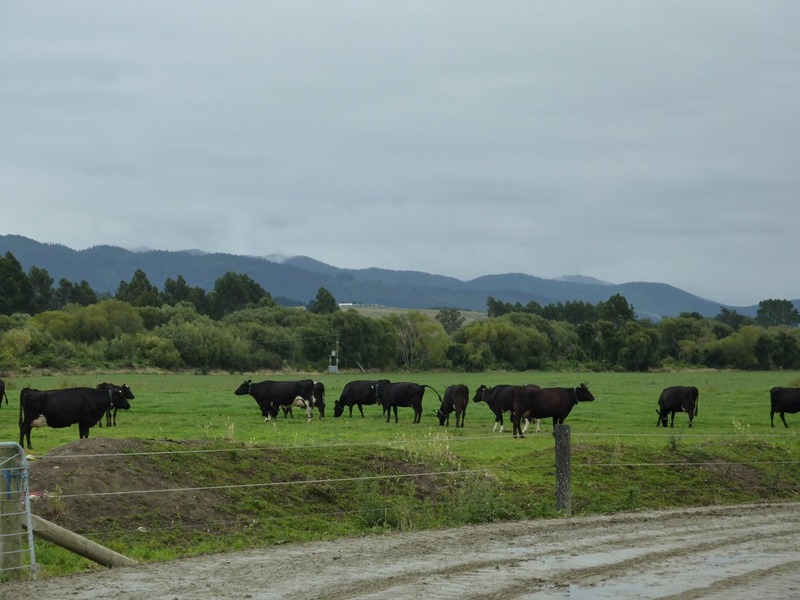 We left Canberra early in the morning and after a couple of connecting flights and an hour’s drive, arrived in Ashburton, NZ, in the heart of some of the most productive dairy and crop production in the world. Sunday will be spent on farms – can’t wait! After almost 24 hours in flight and in airports, I’ve arrived in Canberra, Australia, the nation’s capital city of about 400,000 people. The highlight of my first night was meeting the group I’ll be travelling with for the next few weeks. This is an impressive group of Australian farmers. Our group is very diverse, and includes producers of many commodities, including dairy, sugar cane, dates, grains, fish, sheep and beef. We spent day one learning about Australian history, culture and politics, and finished the day with supper at the Parliament House with Australian Senator Chris Back, his wife Linda, and Opposition Agricultural critic MP John Cobb. They understand agriculture and are passionate about its future in Australia! It is absolutely fascinating to learn how Canadian and Australian agricultural issues align. Today, we had discussions about declining government support for agricultural research and development, the impact of strong currency on the economy (I paid $118 CDN for $100 AUD), impact of food imports and domestic competitiveness, and the decline of funding toward agricultural education in the University system. We tend to think of these issues as isolated to our own country. Perhaps we can benefit from more global understanding. Here is a photo of our group with Senator Back and his wife. Nuffield Australia CEO Jim Geltch (far left) was an amazing guide today. Thank you to Jim and Nuffield Australia for inviting Canadian participation in this program. It is much appreciated!